With each hard brush, tiny pieces of brown shell broke free from the cockroach-sponge, doubling the work. She’d never get it done. Not in time for checks. Maybe if she’d had a real sponge—the kind to actually soak up water—or even some soap, it might be possible. But how could she complain? All the other girls had the same thing, were required to do the same thing. Clean. Clean the ship’s interior with nothing more than a bucket of brown water and dead cockroaches the size of infants. It was all day, every day until… Louise didn’t know. She’d been here as long as she could remember. And at nine years old, that felt like a lifetime. She’d often wondered how she ended up on the ship, if her parents were looking for her, or if she’d done something wrong. It was the same thought all the other girls had, except for the older ones, who stopped caring years ago. It didn’t matter why they were here. There was no escaping the Lady of the Lake, so why bother thinking about it? Louise wiped her forehead and wished for a shower. If she cleaned her section thoroughly, Madame would gift one. If not, she’d have to go another week. Maybe even a month. Louise recoiled at the thought. 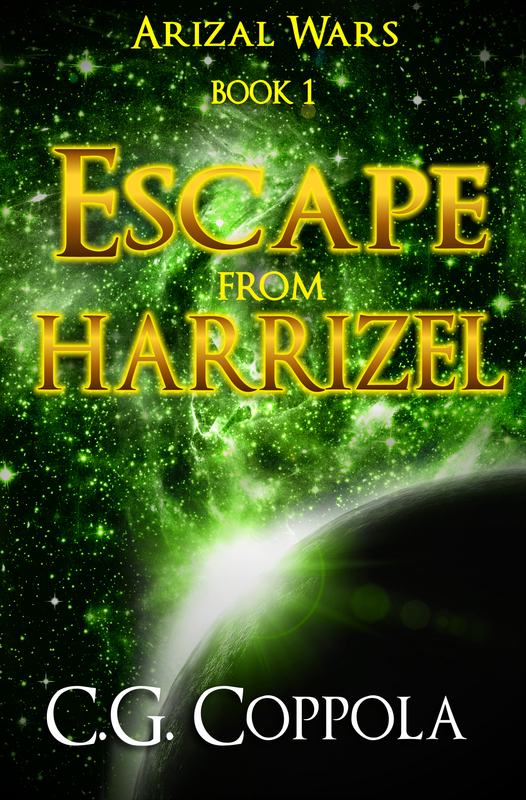 The last month she went without showering made her violently sick, and she swore she’d do everything Madame asked, even clean an impossibly dirty floor with toilet water and one of the monstrous dead bugs the ship was known to house. Louise scrubbed harder. Faster. She wouldn’t finish in time. The Madame was back early and Louise still had a quarter of the floor left. What was she going to do? “Shush it, Joan!” Ann hissed. Louise scrubbed faster. Even though her section wasn’t done, maybe Madame would be happy with the work she did do. Maybe. “Ah,” she cooed as her footsteps came to a halt. Louise was afraid to look up. Had the other girls finished their sections? Was she the only one still scrubbing? She dared not look. Sometimes, in the middle of things, Louise drifted away. She never intended to, but found herself pretending to be a mermaid, caught by vicious sailormen that stole her while her parents slumbered. Other times, Louise imagined she was a princess, kidnapped from a kingdom still mourning her absence. And in these daydreams, Louise’s hand moved slower, her grip on the cockroach lessening. A hopeful possibility turned into minutes lost and losing time was serious. Dangerous, even. Madame’s one word sent a chill down Louise’s spine. Would she be reprimanded? Or worse—selected? She lowered herself to the ground, as was procedure. And then peeked out through the gap under her arm. All sixteen girls waited the same way—kneeling with their foreheads hovering over the floor. All dressed in the same ratted black tights and blue sailor dresses, most opted to pull their hair back in a ponytail or bun. Even Louise. She learned early on that no matter how clean she could get the floor, she didn’t want her blonde hair touching the thing. Brown hair fell in waves, dripping into the dirty water and some, right onto the cockroach-sponge. Louise suppressed a wince. She hated touching it with her hand, but the hair seemed even more intimate somehow. How could Francesca forget again? Madame’s red heels walked past Louise and over toward the six year old. Louise wanted to watch—she felt she owed it to Francesca not look away and actually witness the action—but in the end, she shut her eyes and cringed. And only heard the girl crying in protest as Madame dragged her across the floor and behind ‘the door.’ Every day, Madame would find the dirtiest section and that girl would be the example. To work harder. To work faster. Because when she came back the following day, something wasn’t right. Something… changed. You could tell by the sunken eyes, by the new, extra-skittish nature. Something happened behind that door—something evil. Louise had never been picked. Thank God. Even with her elaborate day dreams, the younger girls moved slower, still fresh to complaining about why they were here and how they got here and how they didn’t want to work. Louise had been like that in the beginning too—she thought—but fear cloaked her every move and she knew enough not to complain. And not to get picked. Because she didn’t want to see what lay behind the door. If she worked for anything, it was that reason. All the girls gathered around, intrigued by the possible fight. Joan and Ann were known to go at it from time to time, and with Madame distracted with whatever was happening behind ‘the door,’ it was a perfect time to hash it out again. Ann, who, despite being twelve years old, had no problem standing up to Joan, the sixteen year old bully who liked to taunt and tease all the younger girls, ones like Francesca and Louise. Some even feared her worse than they did Madame, who only showed up for inspections and of course, to drag the selected girl to ‘the door’ as an example. Louise often wondered about Joan. Wondered if the dark-haired teen acted the way she did because of how long she’d been on Lady of the Lake. Would Joan be different if she lived somewhere else—if she did something else? At sixteen, she’d had more years in the place even though Louise, at nine, felt like she’d been on the ship forever. A scream emitted from behind ‘the door’ and all the girls fell silent. It was done. Whatever happened back there, it’d happened to Francesca and a sinking feeling of dread washed over Louise. Francesca would never be the same. And Louise couldn’t help but shake. Wait, hadn’t they been green? Ann stopped at Louise’s cot. She’d learned early on that the nine year old suffered from violent night tremors, and the one thing that could tame them. Something about Ann’s fingers in her long, blonde hair helped sooth Louise into a peaceful slumber. And she needed that. Especially tonight. But the following morning, Louise struggled to get up. Even with Ann’s reassuring touch, she’d had a hard time falling asleep. She was sluggish and lethargic, missing the bucket’s handle the first few times she’d reached for it. She was last in line to fill the thing with toilet water from the brown-walled bathroom, and to grab one of the cockroach-sponges from the heaping new pile placed just outside the door. Louise yawned and blinked a few times, trying to wake up. But something wasn’t right. She’d attributed it to Francesca’s odd state. She could have sworn the girl had green eyes. Maybe she was remembering wrong? This happened a lot to Louise. She’d think she’d know a girl’s trait—like her hair or eye color—and then it’d suddenly be different… or as it always was. Louise could never tell. It made her think she was crazy—and maybe she was—so she stopped trying to notice anything and stayed away from the other girls, keeping mostly to herself. But Louise couldn’t shake the Francesca thing. She could have sworn the girl had green eyes. And Francesca —was that always her name? No, her name was Betty. Where’d she get Francesca from? Louise shook her head and pushed the cockroach-sponge up the floor. Usually, she entertained herself with fantasies of alternate lives. But now she was determined to remember Betty—yeah, Betty—as she always was. Her section was a mess. She must not have been paying attention. How long wasn’t she paying attention? She’d only had a small fraction cleared, but brown flecks clung to it and Madame would be coming back soon. There was no way she’d make up for the lost time she spent thinking about Betty, about their limited word exchanges, about knowing Betty had always been Betty. But really—how stupid could Louise be? She peered around at other parts of the floor. Clean. Unlike hers. Ann crawled over and started scrubbing part of Louise’s section. “You can’t help her!” Joan cried. “Is that talking I hear?” Madame’s voice drifted through the hall. Ann scrubbed even harder, trying to get as much done as possible. It’d take another two or three people to get Louise’s section looking anything like the other girls’, but no one else moved to help. Instead, they sat up and watched the two girls work, sighing with a breath of relief that it wouldn’t be them today. They all had another day in hell to look forward to. Madame’s heels clicked down the hall but Ann refused to return to her section. She kept scrubbing, kept dipping her cockroach-sponge in the brown water while Louise sat motionless and watched. She knew. She knew with every fiber of her being that her turn had finally come and fear paralyzed her. There was nothing she could do. “You’re going to get in trouble!” Joan taunted. Everyone dropped to the hunched-over position, as was procedure. Louise’s heart pounded harder than it ever had before. She’d be dragged behind ‘the door’ and no one knew what happened back there. Everything inside told her this would be the day she died. This would be the day she no longer remained herself. Louise’s breath hitched as she watched Madame’s red heels walk over the floor. They stopped in front of her. Louise shook, praying she didn’t let her bowels go right then. The moment between Madame stopping and what came next seemed to last forever, just like her time on Lady of the Lake. And then she felt the tug. Louise shut her eyes as Madame dragged toward ‘the door,’ by her hair. She knew it’d be the last thing she ever saw so she peeked once, and it was at Ann, who watched horrorstruck as her young ally disappeared. Louise wished she could’ve thanked Ann for being her one true friend on the ship. Just once. It was because of Ann that Louise held onto a bit of hope, a small piece of happiness in an otherwise horrifying world. But she couldn’t thank her. She’d never have the chance. And that was almost as bad as where she was headed. Louise fell into a chair, her heart pounding so hard she thought it might explode. No clue what would happen next, she dared not look at the woman behind the black desk across from her. Darkness overwhelmed the scene, except for a single light that hung high between the two. Louise lowered her head, waiting, anticipating the inevitable evil she knew would follow. Louise had asked herself that a thousand times in the beginning, back when she remembered thinking there might have been a before. She’d spend entire days wondering how it was she came about being on Lady of the Lake, but nothing ever changed. And the possible before became fantasies of alternate lives, so she’d stopped. It didn’t matter why she was on the ship because she was never getting off. A chill ran down Louise’s spine. She wanted to ask what Madame was collecting but knew the truth was too terrible, too horrific to process. So she didn’t. Of course, Louise wanted to say. But she couldn’t muster the words. At this, Louise glanced up and noticed for the first time a wall of framed faces. All girls. All similarly aged. And there must’ve been… thousands of them covering every inch of the space. But Louise focused in on one right away, one she knew immediately. Instinctively. Auburn hair, bright green eyes and those freckles she wished she’d had for herself. But something else came with the recognition—a new form of terror that washed through Louise as pieces of the something before started gravitating back together. Louise did. She knew the girl. She knew her somehow, in some way even though she’d never been on the Lady of the Lake before. Not that she could remember. Louise looked back at Madame but darkness shielded her face. Only her threaded hands sat visible on the desk. Louise had a thousand questions, curiosity mixing with the insurmountable dread rolling around in her stomach. Terror gripped Louise as she put meaning to the words. And then Louise remembered the night. The night she met Hannah in the attic while her parents prepared dinner downstairs. Louise loved playing in the attic—it was the perfect scene for make-believe. And she was good at it too. She’d even envisioned her own friend—an auburn-haired girl with green eyes and freckles she’d desired for herself. Hannah, the girl wanted to be called. And Hannah wanted to play a particular game. She called it no peeking. The ship. The cockroach-sponges. The endless cleaning, everyday, all day. Louise blinked, patting down her blue sailor suit, feeling for the stab wounds. Her heart pounded frantically, her entire body shaking. She’d had a family, parents—a life. She’d had a before! Louise looked back at the door, the door she’d feared for… for apparently eighty years. And that whole time, it was the key to her departure… if she decided to take it. Should she? Could she? If it meant killing another girl? Louise thought of the others. Did Joan know? Did Ann? She did. Louise knew it immediately. Deep down in her heart, she knew that Ann had known, but decided not to do it. She was too good and pure to be so evil and yet, by doing so, she’d opted to spend eternity in hell. Because that’s where she was, Louise realized. Hell. Louise waited in the bushes. The soccer game was almost over which meant the kids would come back any minute. She needed to do it quick. And Amber was almost here. “What’d you say?” the girl ducked her head past the leafy fauna and smiled brightly at the blonde stranger. 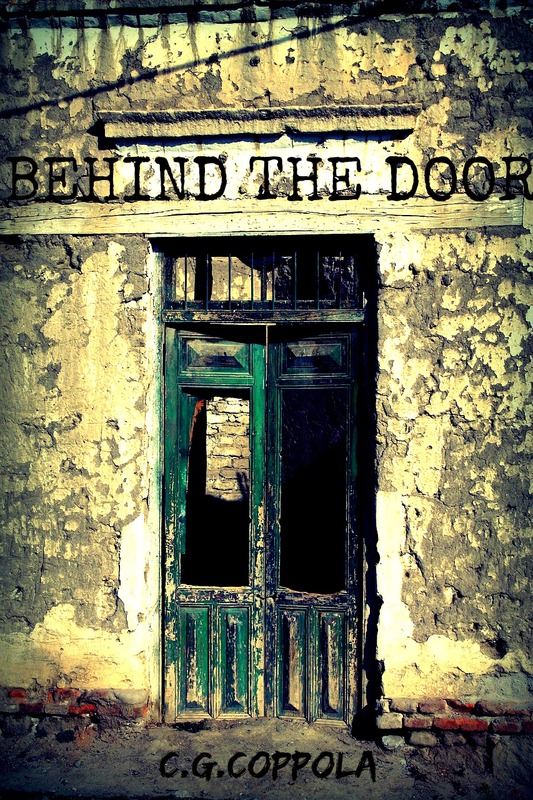 I finally got to read “Behind the Door”, and I really, really liked it!! I thought you did a great job with the characters, and setting the scene, and I was involved right away with the story and wanted to see how it ended…….very successful, I think! Thanks Cait! Thanks Sharon 🙂 First time writing a creeper story… kind of enjoyed it!